As of 2018 report, there are around 2 million apps available in the Apple’s App Store, the leading app stores in the world. The count is expected to grow rapidly in the coming years. Well, you can get a clear idea from the above report that we have a wide range of options in the iOS market. Right? And if you are planning to launch an iOS app out in the market, it must be an attractive and worthy enough so that it stands out in the market. Agree? No doubt, developing an iOS app is a wise thought as iOS app development sector is in the spotlight today. Majority of the business owners have planned to benefit out of this sector and create an identity in the market. And if you are one of them, then this blog is absolutely made for you! 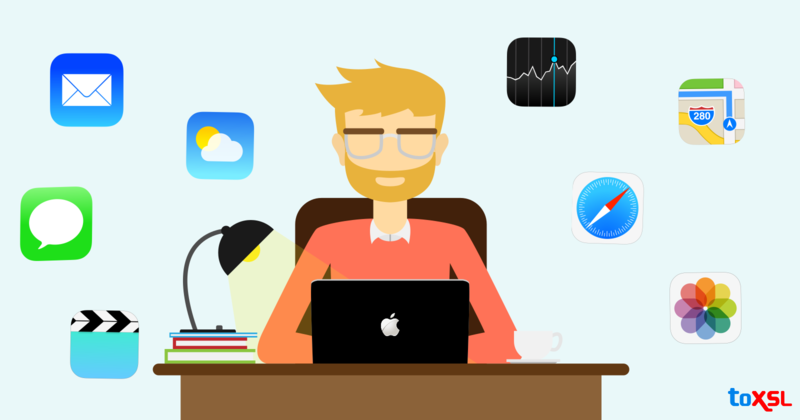 It may be possible that despite preparing a complete strategy, you still miss out on some important aspects while developing your iOS app. Want to know how? Chances are, that you aren’t aware of some latest market trends and miss them while getting the app developed. And the most important role along the way is to choose a suitable developer that well understands your defined requirements and is well aware of the latest technology trends. So, before you hire a developer, make sure that you are aware of certain aspects which are mandatory for a successful app! Clear Requirements: This is the most critical part of your project so make sure you spend time on defining your requirements to the developer you are hiring. First of all, make sure whether you are hiring a full-time developer who will work within your company or the one who’ll develop remotely. Discuss the full-fledged requirements with him and make sure he gets a clear idea of all the mentioned requirements. Knowledge of the latest technologies: If you are about to launch an iOS app for a third or fourth time, you would be quite familiar with it now. But for the startups who are launching the app for the very first time, there are chances that they may not be aware of the iOS frameworks and other technology updates. So, here seems a necessary need of looking for a developer who is fully aware of the latest technology trends being practiced in the app industry along with a good hold on his technical skills. Don’t limit to coding skills only: Remember, developing an app will not simply demand full-fledged coding. Instead, there are other requirements too which need to be included in your app. Make sure that the developer you choose just not holds good coding skills but has a deep knowledge of variations of design, testing, and utility of the app too. So, while you go out to choose your iOS developer, don’t just focus on their coding skills, make sure he holds the other skills too. Verify the company Portfolio: Before you hire an iOS developer, get a deep knowledge of the company he holds experience in or is currently working with. Is the company well recognized and has stayed in the market for a longer duration or not? Just because simply hiring a developer who has limited experience in development will be of no benefit to you. Get a deep research done about the company’s background and reputation in the market date. Client reviews and past projects: Get a research about the reviews past clients have given who got their app designed by this developer. Also, ask the developer to show you his past projects and apps he had been working on, were they successful enough and appreciated by the client or not? Will he be able to design your app accordingly or not? So, before you hurry for getting your app done from him, take your time, and see his previous work experience too. All you need to do on the whole is to get your requirements clear and follow the above-mentioned points. That’s all! Picking a wrong developer will be a total waste of money, labor, and resources, and obviously, it’ll end up with a bad reputation of your company. So, apart from choosing a perfect vendor, it becomes necessary for you to consider the above necessary aspects and get your app done perfectly. Good Luck!